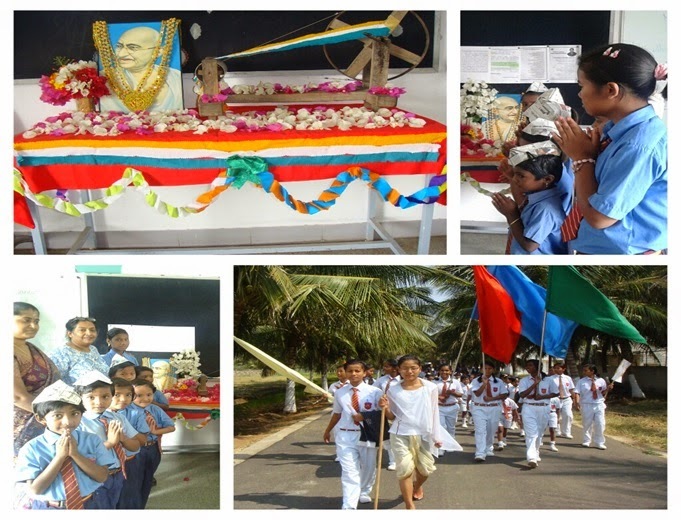 On 30th January 2014 Michael & John Job Group of Institutions paid homage to the great leader, Mahatma Gandhi – the Father of our Nation – by commemorating the 66th anniversary of his death. On that day the morning assembly was followed by a play – The Salt March enacted by the students of classes IX and XI. The play threw light into the struggles of Gandhiji to overthrow the salt laws of the British Government.